Breakthrough research has even shown a combination of these amazing nutrients has the potential of not only preventing aging, but of even reversing some signs of aging. Would you like to live to a ripe old age and maintain a sharp mind…good eyesight and hearing…and overall health? If your answer is “Yes” (and of course it is! ), then continue reading to find out how! It sounds like science fiction, but recently a team of scientists discovered one of the keys to what happens to the human body as it gets older—and how to delay and even reverse the aging process. We now know how and why cells deteriorate. And thanks to this discovery, we now have the power to age more slowly, live longer with better health, and even reverse some of the signs of aging! Read our breakthrough report on how you can control how you age with a powerful, cutting-edge longevity supplement…that allows you to improve your odds of living longer and healthier. Over the centuries, there have been plenty of myths about the fountain of youth. Finally, we’ve got the groundbreaking research to take you where everyone has dreamed of…and few have been. You’ve read about products that restore memory, skin elasticity, and agility. And, for the most part, they deliver at least some of their promises. But there’s never been a special combination of ingredients that actually has been tested and proven in a lab to slow down aging and reverse damage that’s already been done. Now it really is possible to extend your life by decades…and live them in good health. 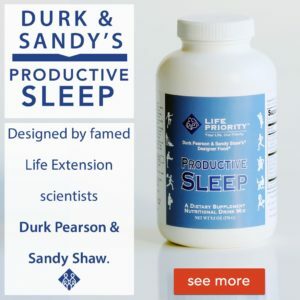 Based on published research of internationally renowned scientists, Dr. Bruce Ames and his team at the University of California, Berkeley, we now know that the combination of two unique antioxidant dietary supplements supercharges your cells’ energy production in order to maximize memory, health, and longevity. This breakthrough research has even shown that the combination of these amazing nutrients has the potential of not only preventing aging, but of even reversing some signs of aging. One of the last unanswered questions in biology is how we age. And with Baby Boomers reaching their 50s, there are millions of people searching for the key to ward off wrinkles, aches and pains, and improve their odds of living longer. Every once and while we read about centenarians like Elizabeth Pampo Israel, reported to be living in the Dominican Republic at the ripe old age of 127. Or Maud Farris-Luse, who recently died at age 115, and was recognized last year by the Guinness Book of World Records as the world’s oldest living person. While the average human life span over the past 2,000 years has risen from about 30 years to almost 80 years, the maximum potential life span of humans has remained near 120 years. Although most of our peers probably won’t make it to 120, recent exciting discoveries have brought us closer than ever to understanding the aging process and re-igniting the possibility that it really is possible to extend our life span and the life span of our children and grandchildren. In the mid-1950s, Denham Harman, MD, PhD, developed the Free Radical Theory of Aging, which explains that cells eventually break down due to free radical attack resulting from oxidative stress. If you can imagine the body as a battlefield in which the cells are attacked by free radicals and damaged by the enemy, oxidation, then you have a pretty good idea of the scenario. And if you could take a closer look at those besieged cells under a microscope, you’d see the molecules or atoms losing electrons. 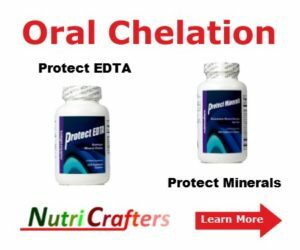 The molecules or atoms that accept these electrons are called oxidizing agents, and they have the potential to damage the cell’s DNA, proteins and lipids. By-products of lipid peroxidation can result in cancer, Alzheimer’s, arthritis, and numerous other diseases associated with aging. Over time, the cells die, and inevitably we age and die too. Likewise, a human body with aging mitochondria will lose its ability to stay young and healthy…because those mitochondria will negatively affect the cells that make up tissues and organs, resulting in a slowing down of the entire system. But just as you can give new life to the car by rebuilding its engine, it’s possible to rejuvenate mitochondria and cellular health. We now know that research into the causes of aging has pinpointed the mitochondria as the major source of free radicals. Not surprisingly, with the knowledge gained into mitochondrial aging and its consequences, scientists have sought the means to protect and rejuvenate mitochondrial functions as a potential anti-aging treatment. Luckily, some major findings have shown that it is possible to restore and maintain youthful energy production of mitochondria, even in old animals, opening up a new chapter in humankind’s endless quest for an attainable “fountain of youth”. Based on dozens of studies, we now know that Acetyl-L-Carnitine (ALC) supercharges cellular energy production in order to maximize memory, health, and longevity. Acetyl-L-Carnitine is an amino acid derivative that occurs naturally in the body. It transports fats to the mitochondria and is also available as a dietary supplement. ALC was found to increase acetycholine production in the brain, which plays an important role in memory and brain function. Research definitively showed that ALC improved memory in animals and people. By the late 1980’s, it became apparent that the positive effects of ALC in so many animal and human studies were far reaching. Many of these studies showed that ALC could prevent or even reverse numerous age-related deficiencies and changes in neurological function and brain cell structure, including the prevention of nerve deterioration and restoration of nerve function in areas of the brain critical to memory. By the late 1990’s, it became apparent that the vast amount of different effects of ALC on neurotransmitters and brain cell health likely had a common basis—the beneficial actions of ALC on the cells’ ability to maintain and restore mitochondrial function in spite of aging. Coincidentally, at the same time these discoveries were taking place all over the world, we were learning more and more about mitochondria and their vital importance in health and aging. Many of the damaging free radicals generated within cells are formed in the mitochondria during energy production. As you restore their energy producing capacity with ALC, a dramatic increase in free radical activity follows. This increases the amount of damage occurring within the cells and reduces any long-term benefit. Thus, while the amazing properties of ALC are truly a revolution in dietary supplements, the most desired anti-aging strategy would be to restore mitochondria function AND lower the level of free radical production coming from the mitochondria. Recently, it was discovered that there are some antioxidants that could partially restore mitochondrial function in old animals and decrease free radical production at the same time, even when taken together with ALC. Unfortunately, most of them are synthetic chemicals that aren’t safe for human consumption. All of them except one! Luckily this natural antioxidant is very well researched and safe and approved for human consumption. 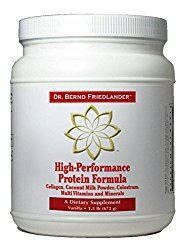 Lipoic Acid’s unique antioxidant and cellular protective properties have been proven to slow down and reverse the aging process. Because of Lipoic Acid’s unique abilities as a natural, broad-spectrum antioxidant, research into its effects quickly branched out after its development in Germany in the 1970s as a treatment for diabetic complications. For this use Lipoic Acid has been found to be highly effective and is routinely given to diabetics in Europe. Breakthrough research proves Lipoic Acid has the potential to reverse some of the fundamental signs of aging and arrest degenerative conditions. As you recall from our earlier discussion, an important factor in the aging process is the deterioration of mitochondrial function. The mitochondria are the powerhouses inside all cells. They produce the energy that enables cells to function, repair, and maintain themselves. As we age, mitochondria start to lose their ability to efficiently generate energy, and since our energy comes from this source within our cells, we begin to lose our energy. Therefore, our remaining mitochondrial function becomes less efficient, and our health begins to suffer. While decades of research have shown Lipoic Acid to be a “universal antioxidant” with expected beneficial effects, the discoveries that Lipoic Acid can restore numerous biological functions that are diminished with aging are truly unexpected. 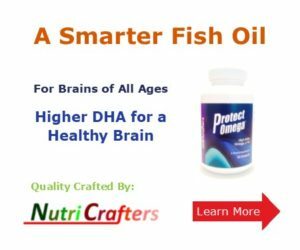 If Lipoic Acid is indeed able to help preserve hearing, slow Alzheimer’s Disease, restore mitochondrial function, and exert its powerful and unique antioxidant protection throughout the body, just imagine the range of possibilities that this amazing nutrient can offer all of us concerned with maintaining and preserving our health as we age. 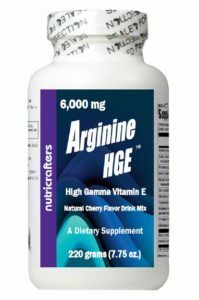 Inevitably, with independent researchers working on the effects of Acetyl-L-Carnitine and Lipoic Acid, it was only a matter of time before someone would discover that the complementary actions of the two nutrients go hand in hand, making them an ideal supplement to take together. Lipoic Acid and Acetyl-L-Carnitine work together to supercharge our cells’ mitochondria…so that we now have the capability to live a long, productive life with energy to spare! How do Lipoic Acid (LA) and Acetyl-L-Carnitine (ALC) work together? Acetyl-L-Carnitine (ALC) is more potent at restoring mitochondria energy production. The problem is, it doesn’t prevent the increase in free radicals that accompanies the energy production. In the long run, this increased free-radical production limits ALC’s potential benefits and will cause more damage to the cell and mitochondria. 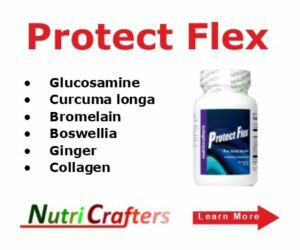 Lipoic Acid (LA) is better at reducing cellular and mitochondria free radical protection and has been shown to restore antioxidant protection in old animals to the levels found in young animals. However, scientists were interested in combining ALC and LA to see if this combination would have powerful results. It did—and has now been shown to be a breakthrough anti-aging dietary supplement! In order to understand how the two supplements work together, it’s important to first understand how Lipoic Acid works. Like many dietary supplements, Lipoic Acid exists in different forms. In the body, Lipoic Acid is found only in its “R” form. Because only tiny quantities of Lipoic Acid are found naturally in animals and plants, the form that has always been manufactured, researched and sold is made synthetically and contains equal amounts of the “R” and “S” forms. 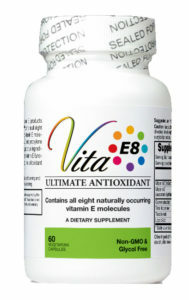 Vitamin E is another example of a vitamin that’s sold both in a natural form and a synthetic form. While the natural and synthetic forms are mirror images of each other and usually have similar functions in the body, they can differ in their biological actions. 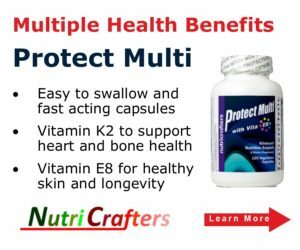 For example, it is now known that natural vitamin E is utilized by the body more efficiently than synthetic vitamin E, even though they both have the same antioxidant power. Early on in Lipoic research, it became apparent that the natural and synthetic forms of Lipoic Acid did have different effects in the body. Think of it this way: you can’t fit your right hand into a left-handed glove. If you wore your gloves on the wrong hands, you wouldn’t be able to function normally-simply because the gloves wouldn’t fit. The same thing happens in the body. Your body will not accept a left-handed compound to do the job a right-handed one is designed to do, and vice versa. A compound that’s the wrong shape cannot work as well in your body as one that’s the right shape. And the right shape is the one that the body recognizes and fully utilizes. For years, the manufacturers of nutritional supplements and pharmaceuticals have produced a synthetic form of Lipoic Acid. The vast majority of research in the past 30 years has used this synthetic form, and this is the type of Lipoic Acid used as a pharmaceutical in Europe to prevent and treat nerve damage in diabetics. The synthetic form contains both R and S Lipoic Acid. However it was discovered that in enhancing glucose uptake, all the activity was found only in the natural R form of LA, and the S form could actually INHIBIT glucose uptake. The synthetic form of LA containing both R and S Lipoic Acid had a beneficial effect, but not as much as the R form alone. Eventually, pure R-Lipoic Acid became available to researchers, and scientists discovered that it is a better form of the nutrient all around, which makes it the logical choice as a dietary supplement. In fact, almost all of the most recent studies on the anti-aging properties of Lipoic Acid and Lipoic Acid/Acetyl-L-Carnitine have used only the R form of Lipoic Acid. In the late 1990s, Dr. Bruce Ames and colleagues at the University of California, Berkeley began examining the effects of combining R-Lipoic Acid and Acetyl-L-Carnitine. These studies concluded that the combination of R- Lipoic Acid and Acetyl-L-Carnitine is indeed complementary, raising mitochondria function while lowering free radical production. 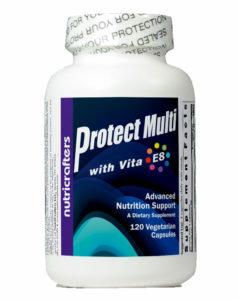 A true breakthrough in our quest for longevity enhancing nutritional supplements! Thus, it appears that the combination of R-LA and ALC may be the first nutritional supplement proven to significantly reverse signs of aging on a molecular level. While scientists have many years ahead of themto determine the exact mechanisms of how ALC and LA work their magic, the combination of these nutritional supplements is available today for everyone who wants to keep their dietary supplement program at the cutting edge of nutrition and anti-aging research—for everyone who wants to live long and live better! Bowman BA. 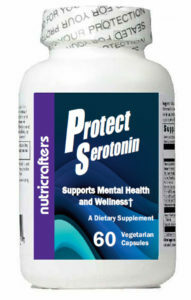 “Acetyl-carnitine and Alzheimer’s disease.” Nutr Rev. 1992 May;50(5):142-4. Postiglione A, Soricelli A, Cicerano U, Mansi L, De Chiara S, Gallotta G, Schettini G, Salvatore M. “Effect of acute administration of L-acetyl carnitine on cerebral blood flow in patients with chronic cerebral infarct.” Pharmacol Res. 1991 Apr;23(3):241-6. Rosadini G, Marenco S, Nobili F, Novellone G, Rodriguez G. “Acute effects of acetyl-L-carnitine on regional cerebral blood flow in patients with brain ischaemia.” Int J Clin Pharmacol Res.1990;10(1-2):123-8. Bella R, Biondi R, Raffaele R, Pennisi G. “Effect of acetyl-L-carnitine on geriatric patients suffering from dysthymic disorders.” Int J Clin Pharmacol Res. 1990;10(6):355-60. Hagen TM, Liu J, Lykkesfeldt J, Ames BN, et al. Feeding acetyl-L-carnitine and lipoic acid to old rats significantly improves metabolic function while decreasing oxidative stress. Proc Natl Acad Sci USA. 2002 Feb 19;99(4):1870-5. Liu J, Killilea DW, Ames BN. Age-associated mitochondrial oxidative decay: improvement of carnitine acetyltransferase substrate-binding affinity and activity in brain by feeding old rats acetyl-L- carnitine and/or R-alpha -lipoic acid. Proc Natl Acad Sci USA. 2002 Feb 19;99(4):1876-81. Liu J, Head E, Gharib AM, Ames BN, et al. Memory loss in old rats is associated with brain mitochondrial decay and RNA/DNA oxidation: partial reversal by feeding acetyl-L-carnitine and/or R-alpha -lipoic acid. Proc Natl Acad Sci USA. 2002 Feb 19;99(4):2356-61.